Game-changing mixed‐use five‐star hotel property in North Laguna Beach, California. [The Developer] had the creative vision and tenacity to assemble seven contiguous parcels from seven separate buyers. 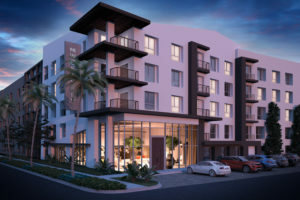 It will sit on Pacific Coast Highway overlooking the Pacific Ocean on the bluff just north of the Las Brisas Restaurant and feature subterranean parking, ground level retail shops, fine dining, meeting centers and a rooftop lounge and pool. It will bring new life to North Laguna Beach. Plans for the project are being completed and it is currently before the Laguna City Council. 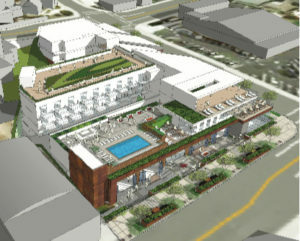 Plans have been submitted to the city for a new high-end hotel in the block north of Ralphs. 68 rooms are being turned into 112 rooms. 42% over code limits! Once an exception is granted then all hotel make-overs will want the same. Can you imagine the congestion? 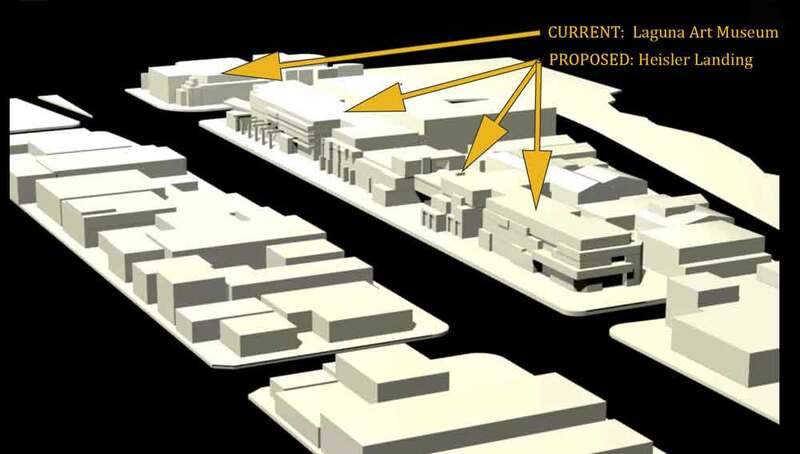 Proposed for 4 stories, exceeding height limits. City Staff actually suggested in their report that we should consider changing the density requirements for this project because there is no other way to accommodate what the developer wants. Higher, denser, better, but for who? Residents? Tourist? Developers? Why doesn't Ralphs just sell now and let them redevelop that lot as well? Who needs a "Frumpy" old grocery store when Developers can make a nice new hotel for Tourist? Are we sure that it's a good idea to abandon the hight and density restrictions in Laguna so that we can Fast-Track commercial development, as Liberate Laguna is calling for? Stop, and think about it. Shopoff claims that "Shopoff Realty Investments [is] Identified as One of Orange County's Fastest Growing Private Companies." Take a quick look at the developments around SoCal that they are most proud of. Shopoff is having problems meeting their commitment to building sufficient parking in a Newport Beach mixed-use project. According to the L.A. Times, "The main reason for the change [the requested modification] is the cost of the parking garage." Shopoff Realty Investments has a 22-year history of over 100 programs and 430 investments, of which more than 400 have gone full cycle with an average holding period of 2.7 years. Shopoff Realty Investments and its executive leadership have completed more than 5,000 real estate transactions, including the acquisition, management, entitlement and development of more than 10,000 parcels and lots, 50,000 multifamily units, and 5 million square feet of commercial properties, with an aggregate value in excess of $4 billion. Sanderson J. Ray Development is proud of their Luxury Apartment Complex expertise. See an example here. Just what we need in Laguna? Perhaps we can stuff 10 or 15 of these out in the Canyon? How about a few for South Laguna?